We’ve made some exciting changes to the Public Mobile brand, products and service. To make sure everything runs smoothly, we’re launching in BETA only to a small group of customers. This way we can learn from their experience and improve along the way. But don’t worry! If you joined us before January 27th, 2015 everything will remain “Business As Usual”. And that means you get to keep your current rate plan and service for as long as you remain an active customer. 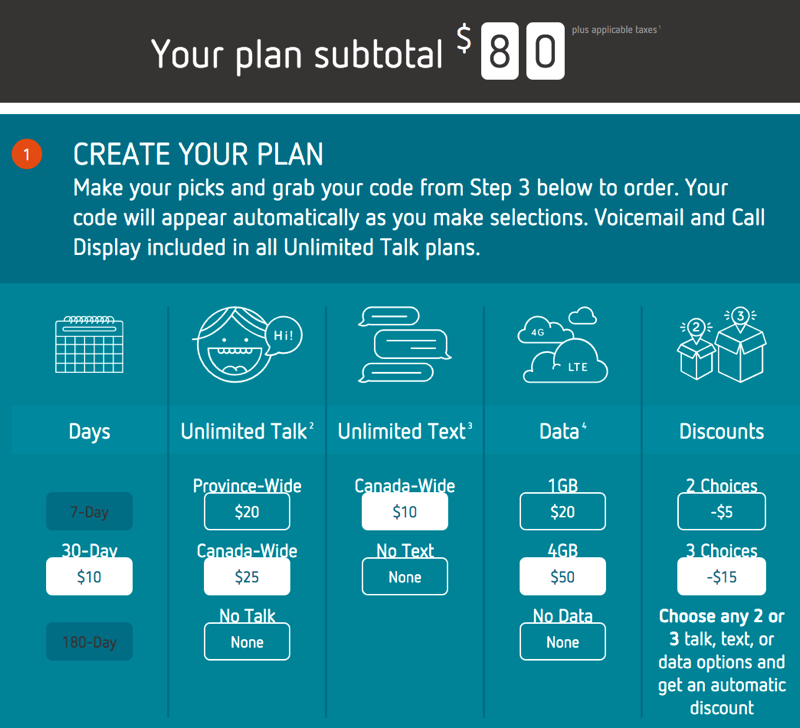 As you can see from above, a monthly plan with unlimited talk, text and 4GB of data will cost you $80. You also have the option of not selecting talk or text plans and going with data only. Public Mobile’s new self serve value brand means there’s no longer a retail presence, therefore reducing retail and infrastructure costs. Are you going to be joining Public Mobile anytime soon?